Natalie York wants to rock. That’s her goal. And in a climate chock full of male rockers, her goal isn’t unfathomable but rather something to respect, admire, and follow. This past week, York released her second full-length album titled “Promises,” which is an album crafted with that exact goal in mind – rocking out. When York released her first album in 2010, the collection of songs ended up being a production effort associated with her final senior project at the University of Miami. While proud of the efforts on that debut album, York is finally ready for chapter two of her young and promising music career. 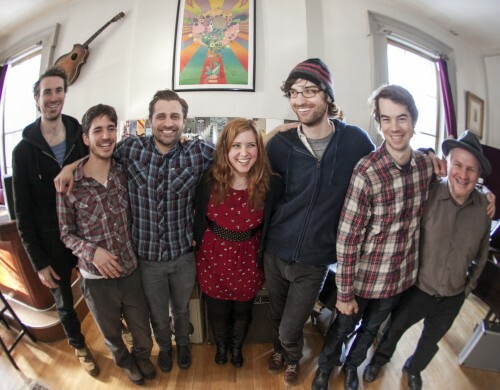 Despite calling Brooklyn home at the moment, York is a northern Virginia native who’s looking forward to a big CD release show for “Promises” (now available on iTunes and Bandcamp) at Jammin’ Java with special guest Dave Farah on Friday, January 31. With the big release of “Promises” coming to fruition, York is ready to jump feet first into what’s next for her and her band. 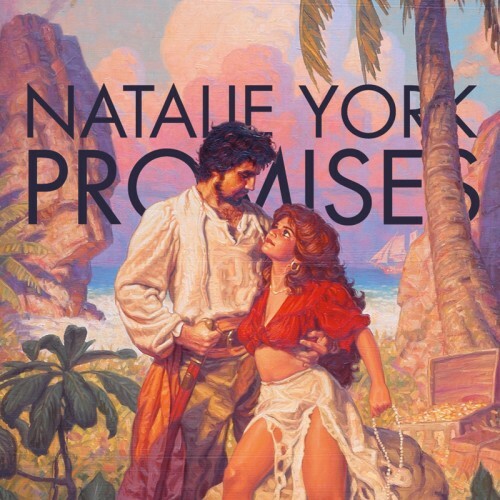 “Promises” Cover Artwork // Fun Fact: The “Promises” Cover Art is actually a painting by the late Tim Hildebrandt of Star Wars movie poster fame. For “Promises,” York took a different approach to the recording process. After learning a lot from making her first album, she feels that “Promises” is a much more cohesive album in terms of the way it was recorded. When looking back on her previous process, that makes a lot of sense. 2010’s “Threads” was named one of the best local releases of 2010 by The Washington Post for her “soulful and warm vocals” as well as her “sophisticated palette,” but it was what York described as being more of a “piece meal” process. York went through several different titles for the new release before settling on “Promises.” The struggle for her was identifying just one universal theme to tie the whole project together while so many options existed. When York sings, it’s reminiscent of Norah Jones’ soft, yet powerful breathy phrasing combined with Ingrid Michelson’s tender energy. That combined with the fierceness of Janis Joplin and a slight touch of Diana Ross circa her Supreme days somehow encompasses the performance York achieves when she takes the stage or records. Heavily influenced by Folk, Country, R&B, and Motown, it’s nice to see an artist who quite obviously draws from the source material to execute a solid full-album from start to finish. But, at the end of the day, this songstress is writing and performing material that’s special to her. Natalie York’s hometown CD release show will be at Jammin’ Java on Friday, January 31 with special guest Dave Farah at Jammin’ Java in Vienna, VA. General Admission tickets are still available.